Based on an old official Metallica promotional photo (back from the Jason Newstead days! 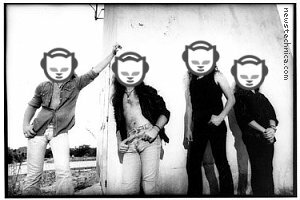 ), released by the band’s record company for wide reuse, and a Napster logo. The poster asserts that the use of the promo photo and the company logo are fair use under US law for purposes of political and satirical commentary.